There’s no getting away from the fact you have to sort several key things before you can legally ride a motorcycle or scooter on the public roads in the UK; one of these is the tax. Technically, it’s not road tax, it’s the Vehicle Excise Duty (VED) and the value is rated on various different factors including the age of the vehicle, engine capacity and how you want to pay the overall fee. Who needs to tax their motorcycle or scooter? Everyone…sort of! But before you can pay for the tax on your motorcycle or scooter, unless your vehicle is over 40 years old, you will need to sort a valid MOT test at an approved government test centre. From May 2018 there was a new rule exempting bikes over 40 years old from needing an MOT and tax; everything else needs one. Your bike has to have been registered before January 1, 1978 to qualify for no MOT or tax. However, even if your vehicle is not liable to pay tax, you still have to apply for it to register the motorcycle or scooter correctly. What is the penalty for being stopped with no road tax? 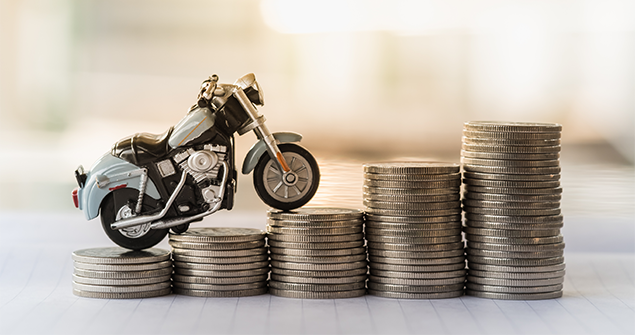 Fines of up to £1000 can be applied for those who get caught riding a motorcycle or scooter on the road with no valid tax and a Fixed Penalty Notice (FPN) will include a fine of around £80. The registered keeper will also be liable to pay for any owed back tax on the vehicle. If the vehicle is impounded there can be fees running into hundreds of pounds that need to be paid to release the motorcycle or scooter. These seized vehicles can also be crushed if they aren’t released by the registered keeper paying the owed fines. An MOT costs a maximum of £29.65 and without an MOT pass, you cannot tax or insure your vehicle to be used on the road. You may ride to a booked MOT appointment with no valid MOT but this is the only exception. The Police use Automatic Number Plate Recognition (ANPR) to automatically check the MOT and insurance status of vehicles that pass within range of the video cameras fitted to many patrol cars and specialist vans. How is motorcycle and scooter tax calculated and how much does it cost? Vehicle tax is banded and costed according to engine capacity and motorcycles and scooters all fall into the TC17 category. There is a separate category for tricycles. 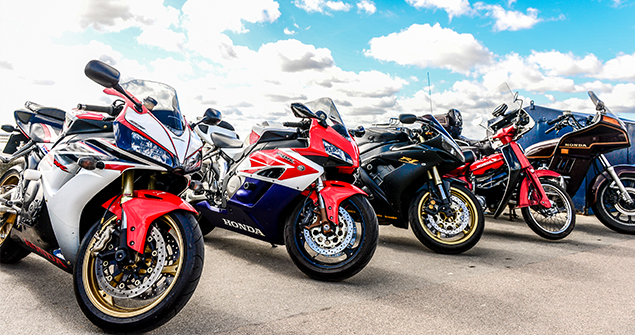 Starting at 150cc and below, an annual cost of £19 rises to £19.95 if you choose to pay in monthly instalments. There is no option (as there are with larger capacity vehicles) to split this into six month payments. The next band is 151cc to 400cc and the annual cost is £42; rising to £44.10 if you choose 12 monthly payments. Again, there is no option to pay for just six months at this rate. From 401cc to 600cc the yearly cost is £64; pushed up to £67.20 if you choose instalments over 12 months but at this rate you can pay for six months at £35.20 as a single payment or £33.60 for six months by Direct Debit. Over 601cc and the cost of a year’s tax rises to £88; £92.40 if you choose 12 months Direct Debit payments or £48.40 for a single six month payment or £46.20 for six months by Direct Debit. You can see a full breakdown of all classes of motorcycle and scooter tax (including tricycles) by checking the government website. How do you pay for road tax? There are three options when it comes to paying road tax; online through the official government website, at a Post Office or by calling the DVLA on the number listed below. If you’re paying online (it’s also easy on a smartphone) if you have only just bought the motorcycle or scooter, you will need the new owner slip off (V5C/2) registration document and the debit or credit card you are paying with. If you already own the vehicle then you will be sent a V11 reminder in the post and you will need to decide how to pay. If you choose online then you can use a debit card or credit card to pay, or set up a direct debit. Another option includes going to a Post Office where you will need the V5C or V5C/2 new keeper form, details of your insurance cover and it’s a good idea to take your MOT pass certificate as it can sometimes take a few days for the system to update. If your motorcycle or scooter doesn’t register as having a valid MOT then you won’t be allowed to tax it. The final option is to use the DVLA 24-hour call service and you can call them on 0300 123 4321 but be aware, there are call charges for using this service. Is there any way of making it easier? Thanks to email, you can set up a reminder that will notify you when your tax is due and you can also pay in monthly direct debits as listed above. This will be paid constantly until you notify the DVLA to stop by either declaring SORN or sending in the V5C to notify the government you have sold the vehicle. What if I’m not using my motorcycle or scooter? The rules still apply to those vehicles being taken off the road for whatever time period you decide; even if that is forever. All you have to do is log a Statutory Off Road Notification (SORN) and the vehicle will be logged as off the road. You will then have to tax the motorcycle or scooter before it can go back on the road using exactly the same process as listed above. You can claim back any tax that is still valid but only in full months. Ride a tricycle? Here’s where you can find the relevant tax rates.